LONG BEACH — Celebrants can ring in 2013 under a fireworks-filled sky on the decks of Queen Mary. 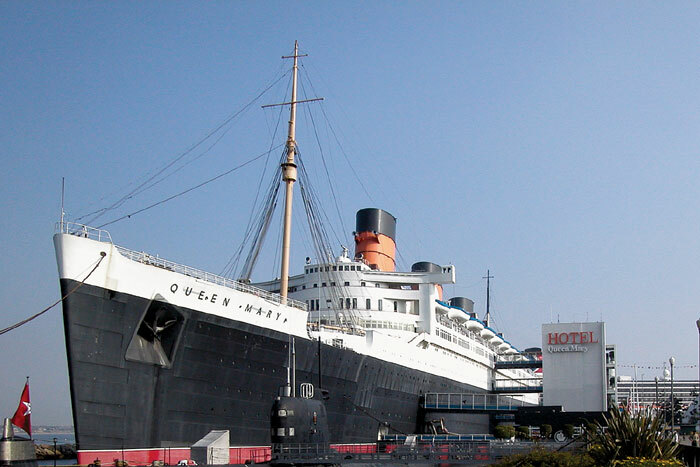 After a “Farewell to 2012” dinner at one of Queen Mary’s signature restaurants, onboard guests can stroll the decks and enjoy a variety of live musical acts and DJs. The New Year’s Eve celebration event continues until 2 a.m. and is intended for partiers who are 21 and older. One ticket purchase lets attendees enjoy live jazz, sing along with dueling piano performances or put on their dancing shoes and boogie to music from the 1970s and 1980s or all-night sets by top DJs. A midnight fireworks show is planned on the starboard side of the ship, facing the city and Lighthouse Park. A variety of dinner packages are available, offering two-hour seatings at the Promenade Cafe, Chelsea Chowder House and Bar, Sir Winston’s Restaurant and Lounge or the Grand Ballroom Buffet. Prices range from $171 to $299 per person, depending on the seating time and the venue. New Year’s Eve revelers who choose to stay aboard have the option of purchasing a hotel and ticket package. It includes an overnight stay in a historic Queen Mary stateroom, two tickets to the New Year’s Eve celebration and a special New Year’s Day champagne brunch for two. General admission is $109 and includes onboard entertainment and party favors. For tickets and more information, visit queenmary.com.